Appointed through the OGC Framework, HB worked collaboratively with North Ayrshire Council and various stakeholders to deliver new build / refurbished Primary Schools. Castlepark Primary School was a partial new build / refurbishment with nursery providing circa 2000m of enhance teaching space. 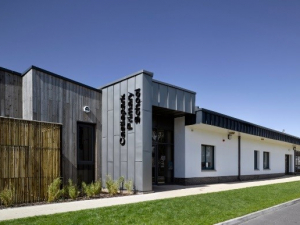 The project also included a new nursery.Underfloor heating was provided to new build areas and the existing internal classroom areas were provided with upgraded energy efficient lighting and ventilation strategies. The project received a BREEAM ‘Very Good’ rating and an EPC B+ Rating.